Alexandre Lacazette scores the only goal of the second leg as Arsenal beat Napoli 1-0 on the night and 3-0 on aggregate in their Europa League quarter-final. Sports Mole provides team news, predicted lineups and a full preview of the Europa League quarter-final second leg between Napoli and Arsenal. A strike from Aaron Ramsey and a Kalidou Koulibaly own goal gives Arsenal a 2-0 lead over Napoli after the first leg of their Europa League quarter-final tie. Marco Silva and Unai Emery clashed late in the game following a rash foul on Dominic Calvert-Lewin. Phil Jagielka scores the only goal of the match as Everton record a 1-0 win over Arsenal at Goodison Park. Aaron Ramsey and Alexandre Lacazette strike as Arsenal beat Newcastle United 2-0 at the Emirates Stadium to move up to third in the Premier League. Sports Mole previews Monday's Premier League clash between Arsenal and Newcastle United, including predictions, team news and head-to-head records. Arsenal boss Unai Emery reportedly decides that he is willing to sell Mesut Ozil and Henrikh Mkhitaryan during the summer. Could Marcus Rashford be leaving his boyhood club? Any Arsenal player with two years to run on their contract and unwilling to renew reportedly face being sold as part of a more efficient way of running the club. A report claims that Villarreal midfielder Pablo Fornals is a summer transfer target for North London rivals Tottenham Hotspur and Arsenal. Mesut Ozil will not be in the Arsenal XI for Sunday's Premier League clash with Manchester United, according to a report. Rennes come from behind to register a 3-1 victory over 10-man Arsenal in the first leg of their Europa League last-16 tie on Thursday night. Relive Sports Mole's live coverage as Rennes come from behind to register a 3-1 win over Arsenal in Thursday's Europa League last-16 game in France. Sports Mole provides team news, predicted lineups and a full preview of Thursday's Europa League last-16 fixture between Rennes and Arsenal. The two clubs meet on Tuesday night at the Bernabeu. Relive Sports Mole's live coverage as Tottenham Hotspur and Arsenal play out a thrilling 1-1 draw in Saturday's Premier League game at Wembley Stadium. Sports Mole previews the 198th North London derby as out-of-form Tottenham Hotspur host top-four rivals Arsenal at Wembley. Sports Mole selects its strongest combined XI between Tottenham Hotspur and Arsenal ahead of Saturday's North London derby at Wembley. Sports Mole selects its Premier League team of the week for gameweek 28, including Romelu Lukaku, Mesut Ozil and four Liverpool players. 5-1 win for the Gunners as they extend impressive home form. Sports Mole provides team news, predicted lineups and a full preview of Wednesday's Premier League encounter between Arsenal and Bournemouth. Arsenal make it back-to-back Premier League wins with a 2-0 victory over Southampton at the Emirates Stadium. Alex Iwobi heaps praise on Arsenal teammate Mesut Ozil after the German made a successful return to the starting lineup in the Europa League win over BATE Borisov. 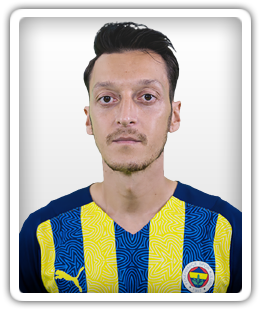 The German started just his second game since Boxing Day as the Gunners beat BATE Borisov 3-0.